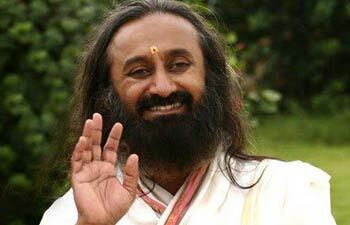 Amidst spiritual guru Sri Sri Ravishankar's claim that he “refused” to accept Nobel Peace Prize, a 2010 blog, written by a “whistleblower” on a site "seeking" to open dialogue with “former Art of Living (AOL) members and currently doubting ones”, is being quoted to point towards how Sri Sri was “very feverish about getting a Nobel Peace Prize” in 2004. “In September 2004”, this blog claims, “All AOL centres received an email saying that the Nobel Peace Prize Project (NPPP) has been launched with Guruji’s designation of an international team to work quickly and quietly on this initiative”. If Nehru can compromise national security, sell the nation, lose parts of national territories to China and Pakistan only for pleasing the noble prize committee by projecting himself as a "peaceful" leader and get a noble peace prize, whats wrong when a real messenger of peace working tirelessly since decades to bring peace in the world in trying for a noble peace prize? RS has done far more work than many noble peace prize winners. If Obama can be given Noble peace prize just for withdrawing army from Iraq, RS deserves much more. This double siri is as much exploiter as are other saints. His shanti ashram in hardwar employs like other ashrams minor boys who work from 4 am to 11 pm with little break. In 2002 he used to pay them Rs. 800 to 1200 per month besides roti (without a tint of butter/ghee) and potato or dal. Hardly they are given parsad from the bhandara (community meal fed to idle saints and office staff) Today he might be paying 1500-PM but no change in diet and timings. The PF ESI or leave or any such labour benefits are never allowed to them. A mere doubt is sufficient ground for their thrashing. If such a exploiter can be granted a nobel prize, the prize itself is matter of shame.